Many fruits contain a variety of essential nutrients for the body, but few have as many vitamins and minerals as the mighty guava fruit. This fruit recently became dubbed “the ultimate superfood” because of both its medicinal and nutritional benefits. Guavas grow in Mexico, Central, and South America, and have a tangy, sweet, tropical flavor. They contain many antioxidants, and in ancient cultures, they would actually use the leaves from the guava fruit to make healing, medicinal tea to cure a variety of ailments. To give you a little history on the medicinal use of the guava, it may have originated in Peru several thousand years ago; Peruvian archaeological sites have unveiled guava seeds found stored with beans, corn, squash, and other cultivated plants. The Tikuna Indians use the leaves and bark of the guava as a cure for dysentery, and in fact, many tribes throughout the Amazon use it for this purpose, as well as for sore throats, nausea, vomiting, vertigo, and to ease menstrual cramps. The Dutch Pharmacopoeia lists guava leaves for the treatment of diarrhea, and Latin America, Central and West Africa, and Southeast Asia also employs the leaves for use in treating diarrhea. In Peruvian herbal medicine today, they use the guava plant for conditions such as diarrhea, gastroenteritis, intestinal worms, gastric disorders, vomiting, coughs, menstrual pain and hemorrhages, and edema. The guava fruit contains important vitamins and minerals as well, making it incredibly beneficial to include in your diet. If you haven’t ever tried guava tea, we’ll give you a few reasons to start brewing it below. Drinking guava leaf tea may cause cholesterol and triglyceride levels to decrease. Study participants who drank guava leaf tea had lower total cholesterol, low-density lipoprotein levels and triglycerides after eight weeks of consuming the tea whether or not they underwent medical treatments for high cholesterol, according to an article published in “Nutrition & Metabolism” in February 2010. In addition to treatment for high cholesterol, guava leaf tea is used in Japan as one of the Foods for Specified Health Uses to aid in preventing and treating diabetes. Compounds in the tea stop the absorption of two types of sugars, maltose and sucrose, which therefore keeps blood sugar levels under control following meals. The article published in the aforementioned journal “Nutrition & Metabolism” summarized two studies that demonstrated this effect. The first study described short-term results, as participants who drank guava leaf tea after consuming white rice showed greater decreases in blood sugar after 30 minutes, 90 minutes and 120 minutes than compared with a study where participants drank hot water instead. In the second, longer-term study, participants with either prediabetes or mild Type 2 diabetes who drank guava leaf tea with every meal over a period of 12 weeks had lower fasting blood-sugar levels than they did before consuming the tea. While we initially only mentioned the benefits of guava tea regarding cholesterol levels and diabetes symptoms, drinking guava leaf tea can help loosen the bowels to treat diarrhea. In a 2008 study published in the Journal of Smooth Muscle Research, researchers tested the anti-diarrheal properties of guava leaves on rats. They found the extract delayed the onset of castor oil-induced diarrhea, as well as lowered the frequency and severity of the diarrhea. This evidence shows that guava leaf tea can effectively treat a variety of conditions and ailments. Guava leaf tea contains so many antioxidants that it can also treat patients with gastric (stomach) cancer. Its anticancer and antitumor properties come from compounds, like lycopene, quercetin, and vitamin C, which work to eradicate free radicals in the body. 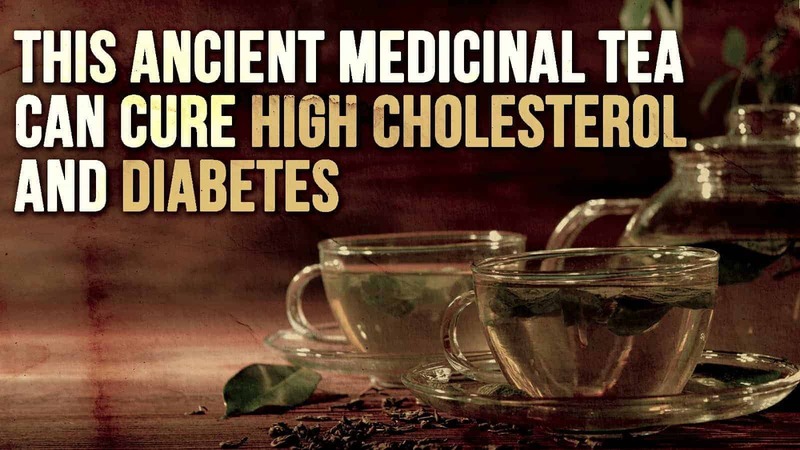 A 2011 study published in the journal Food Chemistry found that when people consume the tea leaf extract, it leads to apoptosis, or gastric cancer cells attacking themselves. If you don’t have any tea on hand, however, guava essential oils can also inhibit cancer growth in the body. A 2006 study published in the journal Cancer Letters showed that guava essential oils could halt cancer activity in patients with stomach cancer, due in part to its rich concentration of nerolidiol, caryophyllene, beta bisabolene, p-selinene, aromandreno, tannins, beta sitosterol, leucocyanidins, and triterpenoids.